Every archer needs a strong bow, arrows that fly straight and true, and a trusty Large Hunters Quiver. Keep your arrows within reach with this modern interpretation of a traditional accessory that can complete any outfit or look. This item was carefully constructed from quality leather and has a contrasting black suede edge. 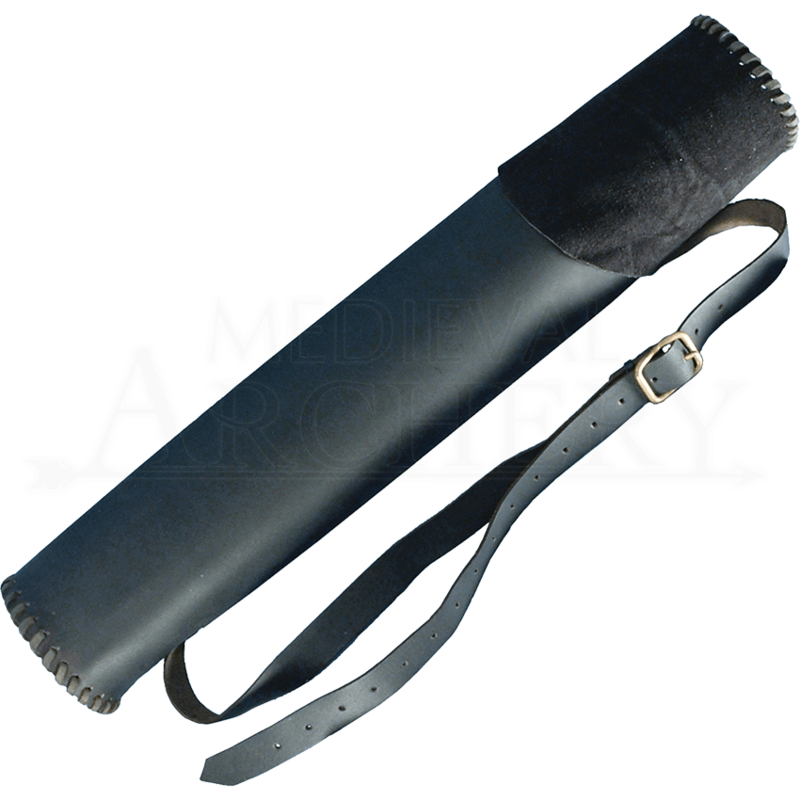 The tube design offers plenty of space for arrows while the leather strap secures the tube to your chest. Hand-stitched trim accentuates the bottom and opening of this magnificent replica. 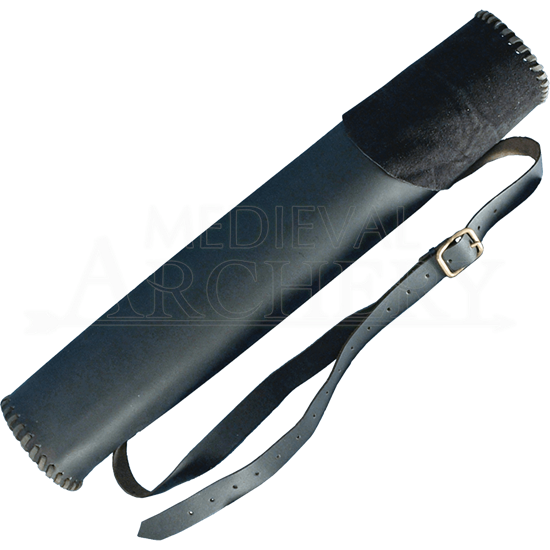 A classic build that can benefit any modern archer, the Large Hunters Quiver is sure to become a treasured accessory when in battle.